What does the preseason really mean for the Browns? Preseason friendlies (or exhibition games, if you will) are a strange beast in the National Football League. Especially when it comes to the Cleveland Browns. Do poorly, and it’s a sign that the coaches and management are incompetent, every draft pick is a bust and all hope is lost. Win and, well, the other team obviously wasn’t trying and it’s a sign that the coaches and management are incompetent, every draft pick is a bust and all hope is lost. There is really no middle ground (at least according to some fans). 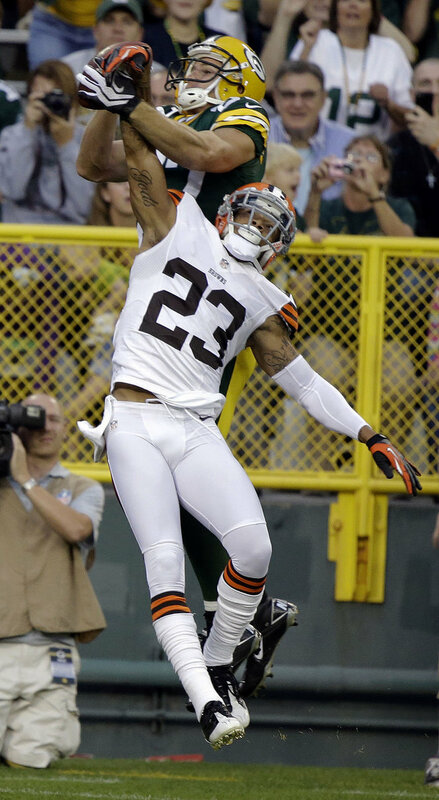 So what to make of the Browns effort against Green Bay, a 35-10 win for the good guys? For starters, the defense looked better than it did the week before against Detroit. A week after giving up 198 yards on the ground to the Lions, the Browns held Green Bay to just 69 yards rushing. The Browns also held Green Bay’s first-team offense to just seven points, coming on a 20-yard touchdown pass from Aaron Rodgers to Jordy Nelson. Browns cornerback Joe Haden had solid coverage on Nelson, it was just one of those throws and catches that verifies why the Packers are one of the league’s top offenses. Montario Hardesty continued to show that he can be a decent second-string running back, gaining 45 yards on 12 carries (although he did lose a fumble on the first carry of the game). That won’t carry the water as a full-time starter, but as a fill-in for starter Trent Richardson, Hardesty should be OK. The offensive line did not give up any sacks and, a week after struggling against the Lions, rookie right tackle Mitchell Schwartz bounced back with a solid game. Rookie quarterback Brandon Weeden also looked better, finishing 12-of-20 for 118 yards with no turnovers (but also no touchdown passes) in eight first-half possessions. He also spread the ball around, completing passes to Greg Little, Jordan Norwood, Josh Cribbs, Brandon Jackson and Josh Gordon. The biggest think that Weeden did was get time with the first-team offense, something he so desperately needs. A couple of additional thoughts about Weeden. One, the Browns need to dump the screen pass, because it is obviously not working. Two, when Weeden feels pressure, he needs to stop with the back pedaling and throwing off his back foot – that’s not going to cut it in the NFL. Third, let Weeden air it out for cryin’ out load. All we’ve heard about during training camp is Weeden’s “big arm” but then the Browns don’t let loose with the vertical game. One way the Browns can accelerate that learning curve is to give Weeden and the rest of a young offense as much playing time in the preseason as possible. So what say you, coach? So what does this all mean? Well, for starters, the Browns need to keep worrying about the Browns and give the starters as much game time as possible before the regular season starts on Sept. 9. It also means the Browns are 2-0 in the preseason for the first time since 2005 (as the TV announcer breathlessly told us last night). Of course, that team went 6-10 so that is about as meaningless of a stat as you can find. Seriously, though, it means the Browns showed noticeable improvement from the first preseason game, but there is still a lot of work to be done. There are some things the team did well that they can build on, and other areas that are still a concern. How much the Browns improve between now and the regular season is completely up the them. And isn’t that what preseason football is all about?